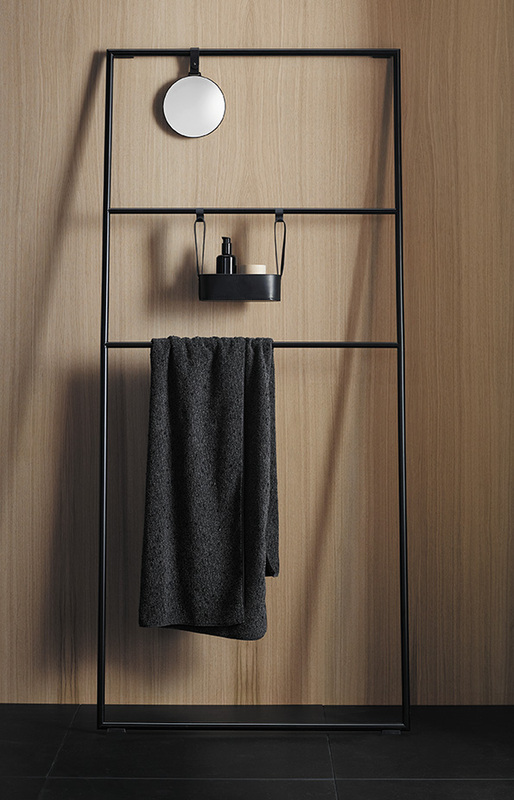 The Coco collection evokes a sense of lightness. 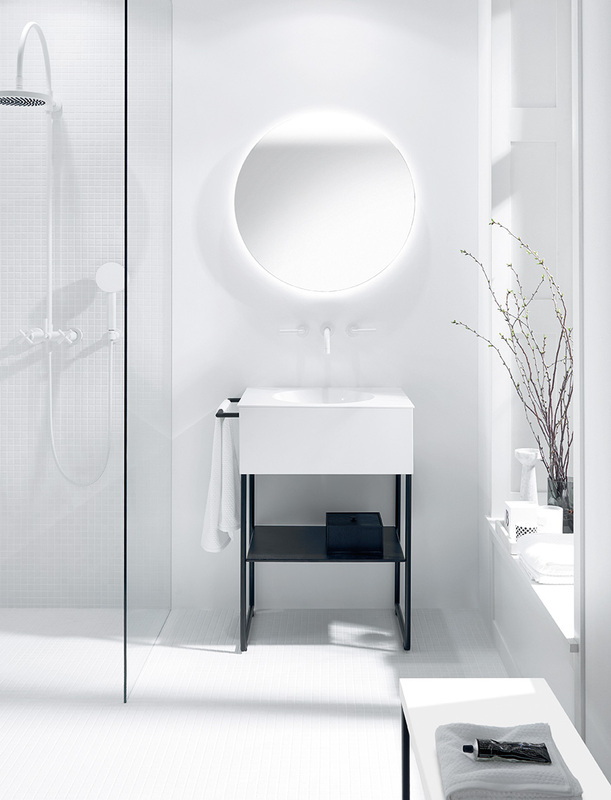 The seamless mineral cast vanity set with fronts in lacquer or veneer can be either mounted on the wall or used standalone with a slim metal base. The smooth mirrored gradient, indirect lighting, and circular mirrored door conjure up impressions of a glowing disc hovering over the horizon, thus transporting the invigorating power of dawn or the tranquility of sunset into the bathroom. 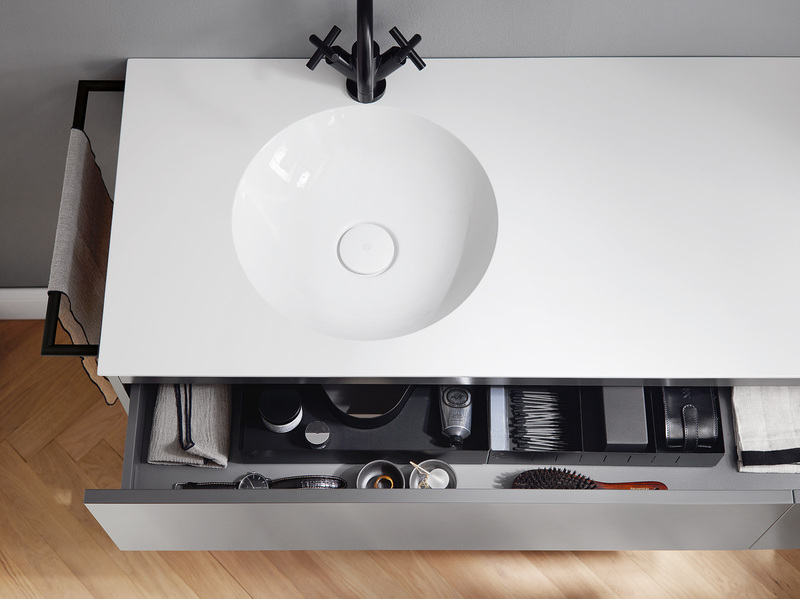 Designed for small spaces in urban bathrooms, the proposal resolves all functional needs such as sink, lighting, and storage with graphic, almost minimalistic clarity and was designed to be installed as easily as furniture. 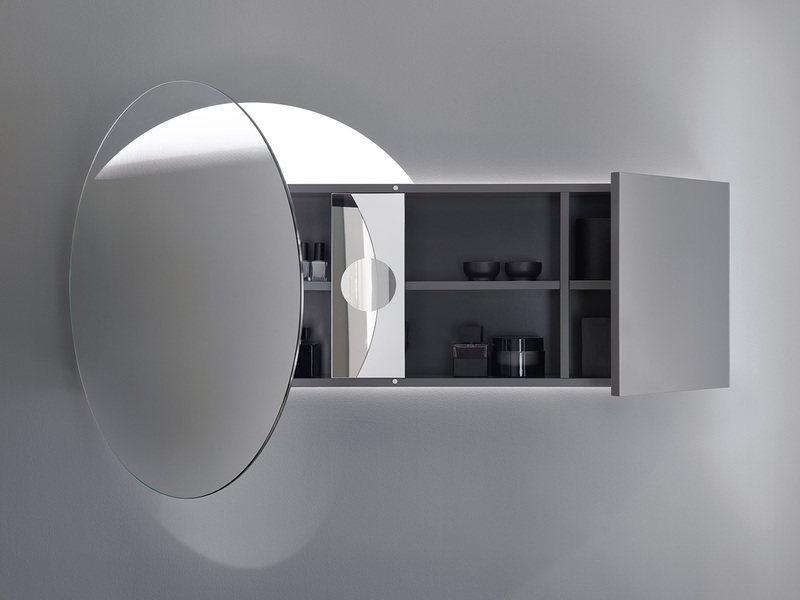 Cabinet with integrated lighting hidden behind a soft gradient mirror.